Woo thank goodness it's Friday!!! 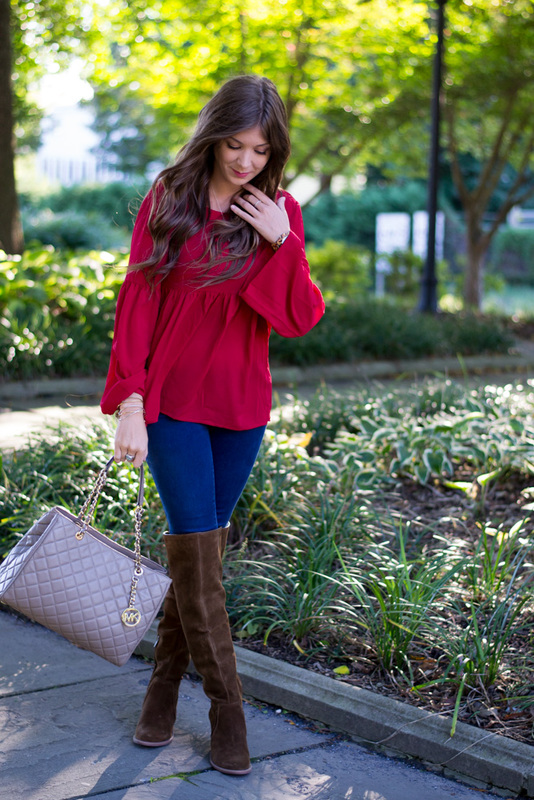 Today I wanted to share with y'all two of my favorite trends... Boots and bell sleeves! If you follow me on Instagram, then you already know how excited I am that it is finally boot season... and this pair is my new favorite! I love over-the-knee boots for fall, but I don't discrimiate!! 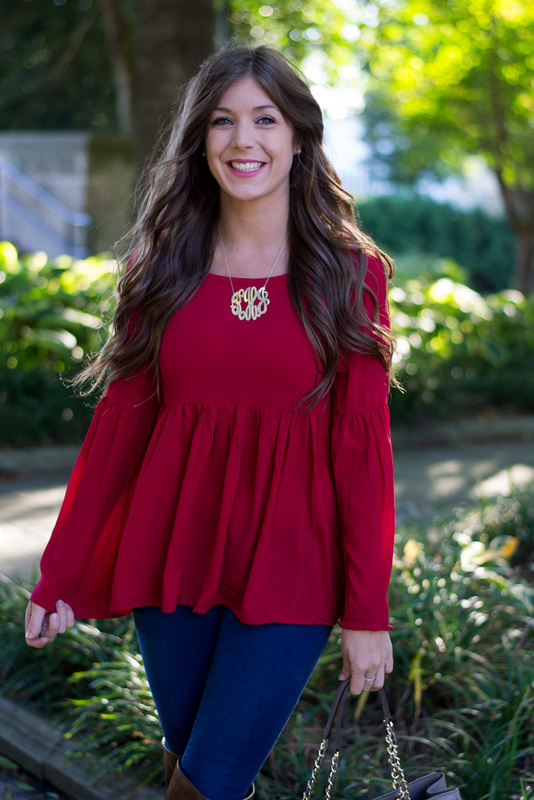 This bell sleeve top is super cute and perfect for fall. The color is different than it shows on the website, but I still think it is a gorgeous color! I love simple tops like this one! And can we talk about how amazing this color looks on you?! So fabulous babe! Wow what a gorgeous look. 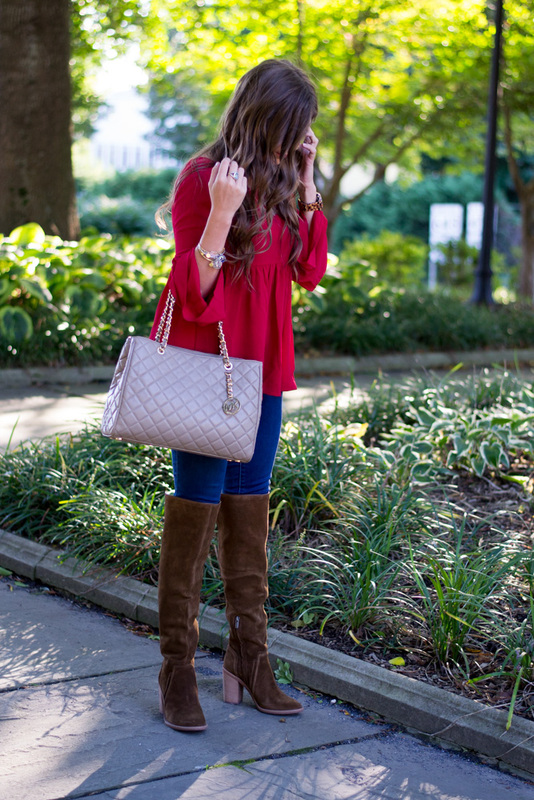 Loving OTN boots paired with that red top. Fab! I love everything about this look: the boots, the top, the jeans! So cute. 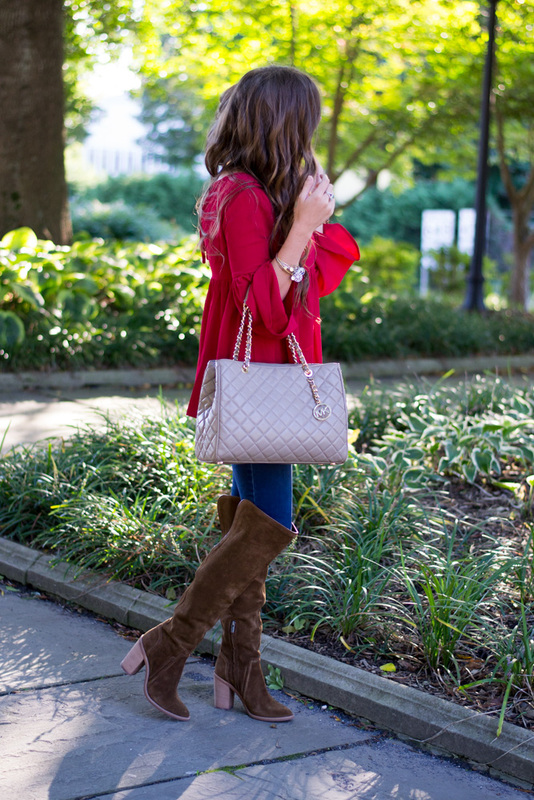 Love those bell sleeves and those boots! The perfect fall look! Love this look! Perfect for fall :)! Xoxo! 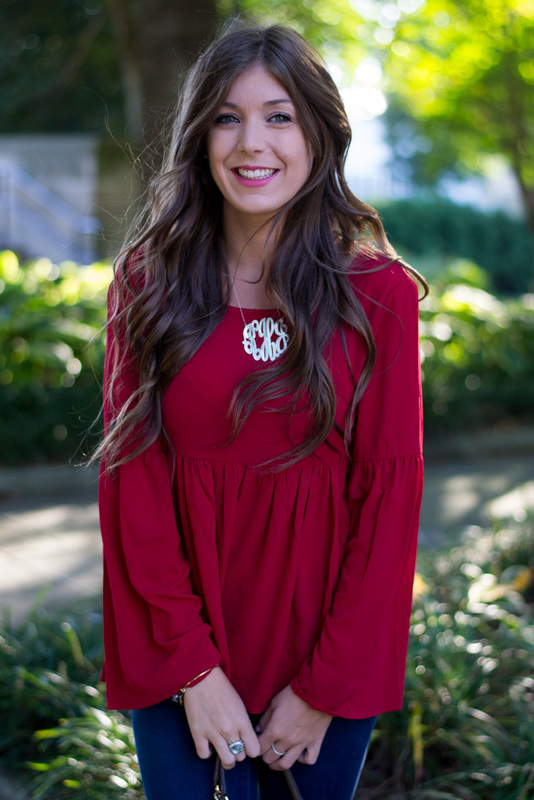 Bell sleeves are so cute I am so glad they are in this year! I love that peplum! Also love the way those boots are paired with this look, I worn them so this look inspires me! 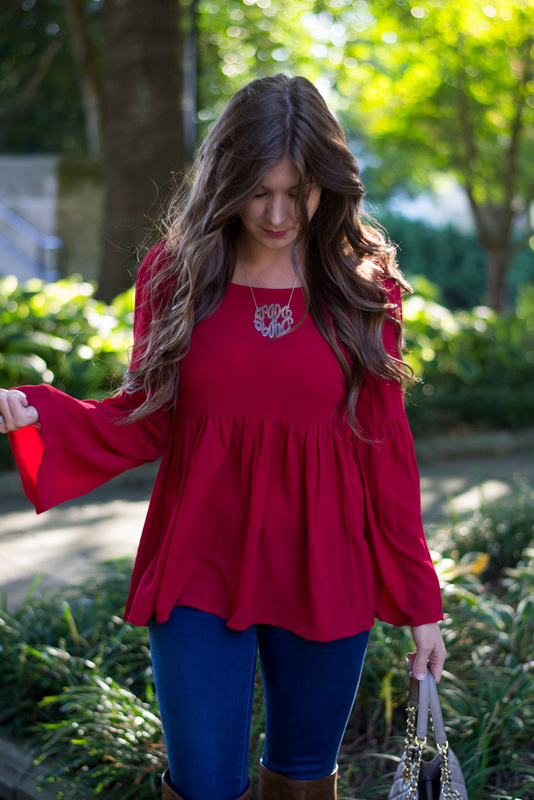 love these bell sleeves and your bag! Such a perfect fall look! The colors are just perfect for the season and I am a sucker for all over the knee boots! Looking gorg girl! Such a pretty red on you and I love your hair! I love this look!! so cute! 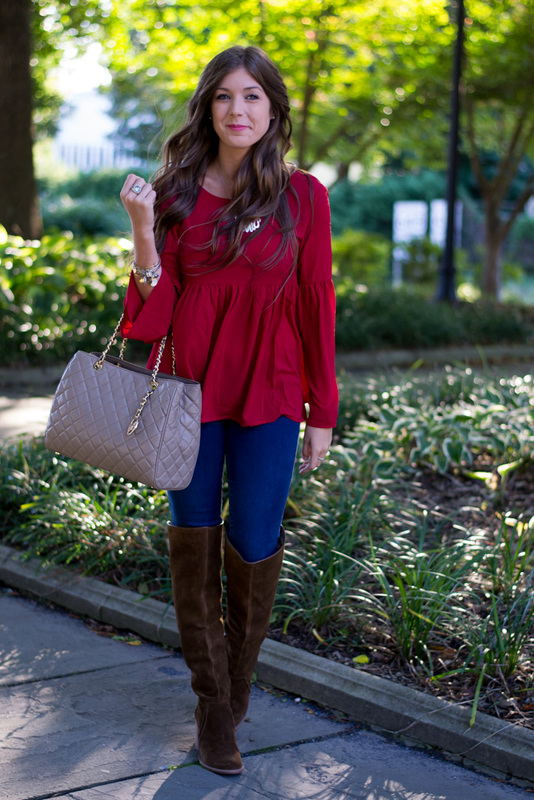 Such a cute top on you and I love those boots! Ohhh Kelsey I love this!! The color is amazing on you and the ruffles are too cute!! Loving the bell sleeves and those booties... gorgeous!! Love both of those items so much! What a beautiful rich shade of brown those boots are, and what a darling top! Loving this outfit! I definitely need these boots in my closet! You are such a doll, looking completely adorable. I love your blog name too, Cinderella is my favorite! 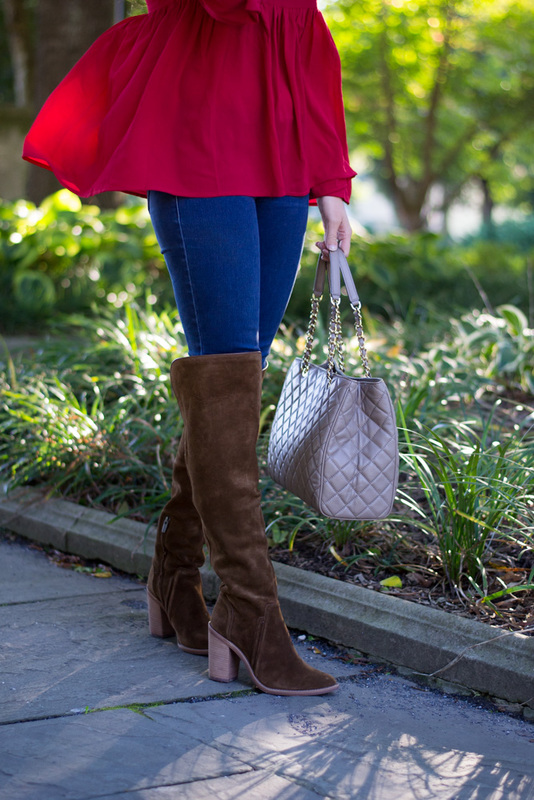 Love this bell sleeve top and your boots are SO cute! LOVE that top and the color of it!! Very suiting and those boots are AMAZING!!! beautiful look!! love that top!! also ready to wear my otk boots after seeing your look. Your top is adorable! And I'm obsessed with your boots. I'm so excited for boots season too!